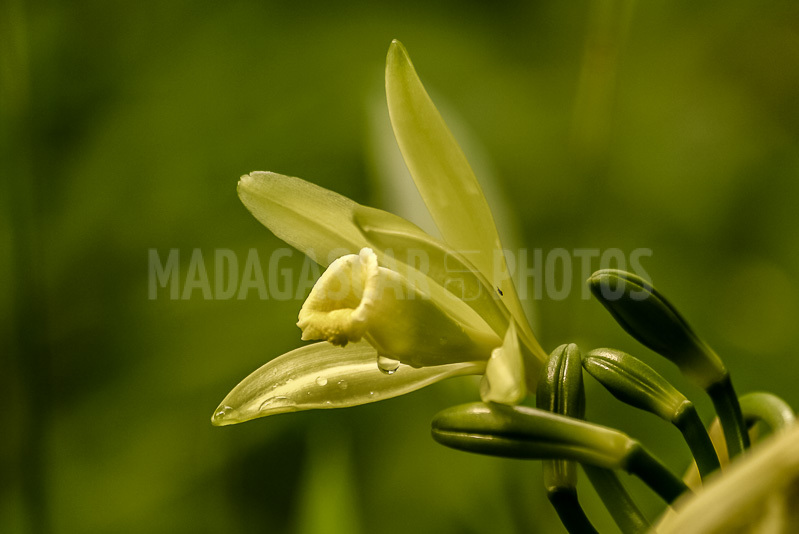 "The black gold of Madagascar"
The vanilla creeper "fragrans", now known as Bourbon vanilla, was introduced in Madagascar in 1870. 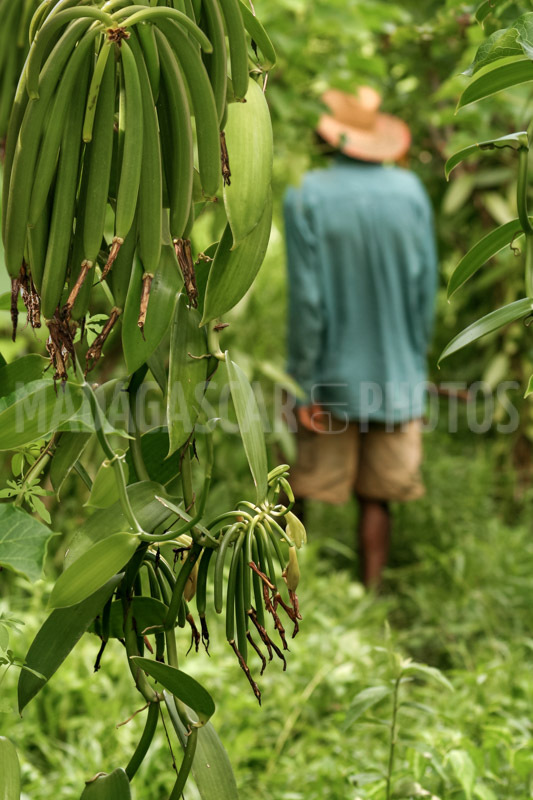 It did not quite arrive in a foreign land, since five endemic species of wild vanilla could be recorded in Malagasy forests. Established at the beginning on the East Coast, it emigrated further north in the SAVA region (Sambava, Antalaha, Vohémar, Andapa), where the soil and climatic conditions suited it better. In 1924, Madagascar was already the world's largest producer with about 300 tons. Current production regularly exceeds 1000 tonnes at a respectable distance from Uganda (less than 300) or India (less than 100). Contrary to what can be believed elsewhere, the vanilla requires a long preparation before its export. The preparation starts with a bath of a little less than 3 minutes in a water at 140°F (60°C), and a steaming in a padded trunk where it "sweats" for one to two days. The vanilla then takes on its chocolate tint, and the perfume begins to emerge. 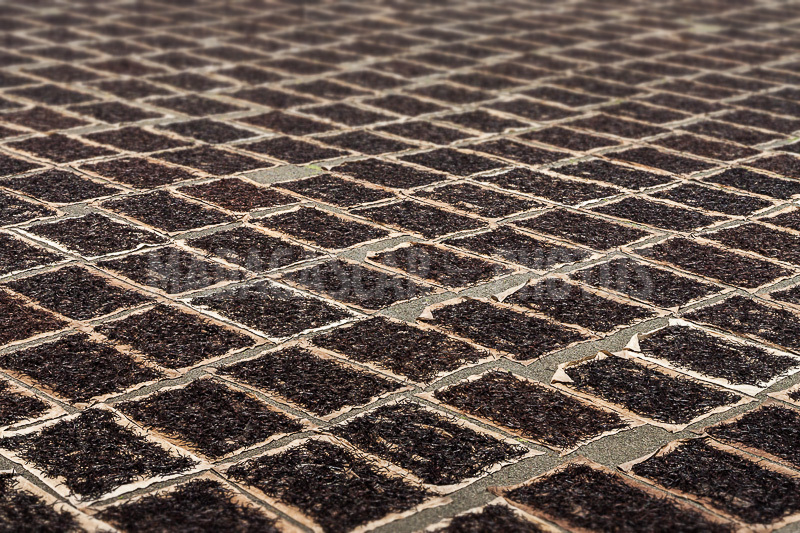 There followed 3 hours daily drying in the sun for a fortnight and a month in the shade, to remove all the moisture. There followed various manipulations, including drying in the shade, calibrating the pods, placing in padded trunks of waxed paper. The ripening lasts between 3 and 6 months, and it is at this stage that the perfume develops the most. The pods are wrinkled, the most beautiful are unctuous and of a beautiful brown color. 18 months will have passed since the fertilization of the flower until final packaging, and export to the consuming countries. The insect supposed to fertilize the flower has not been imported into countries where the cultivation of vanilla has spread, fertilization must appeal to man. Edmond, a 12-years-old Madagascan slave, invented the manual pollinating process at Bourbon Island, currently La Réunion. The young Edmond was freed and given the patronym of Albius in reference to "alba", the white color of the vanilla flower. The process is still the same today. It is practiced early in the morning as the flowers have a brief life of a few hours at the beginning of the day.